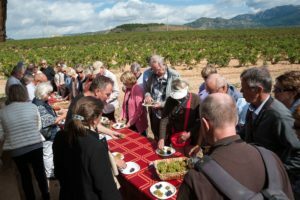 You will find below a sample itinerary for an employee incentive wine tasting trip to Rioja. A guide price for this trip is £599 (GBP) per person. In the morning, fly from London Heathrow to Bilbao with British Airways. Flights are also available from London Gatwick, London Stansted, Bristol, Manchester and Dublin. The flight time is two hours. You will be met at the airport by a chauffeured mini-coach and Grape Escapes Tour Manager, who will accompany you throughout your trip. 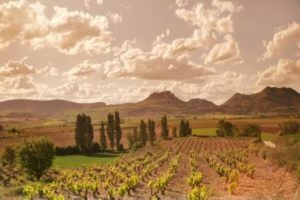 Our Spanish Tour Manager was born and bred in the region and not only will she entertain you during the drive from Bilbao to Rioja with fascinating historical and cultural anecdotes, she will also share her extensive wine knowledge with you. 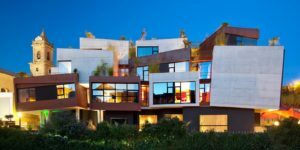 Upon arrival in the Rioja vineyards, you will be welcomed as the guests of one of the region’s large, prestigious wineries, whose impressive and unique modern architecture will amaze you. As well as having a full tour of the estate, a four course lunch with a selection of their wines will be served. Examples include Cune, Muga and Baigorri. After lunch, you will be taken to the stunning 4* Hotel Viura, where you will check into single occupancy rooms. You will then have some time to relax and freshen up. In the evening, you will firstly be taken for a tasting session of three premium Rioja wines with platters of local tapas. You will then have time to participate in the traditional evening tapas run on the famous Calle Laurel in the town of Logroño. After a leisurely breakfast and check out, your chauffeur and Tour Manager will return and accompany you on a second day of tours. 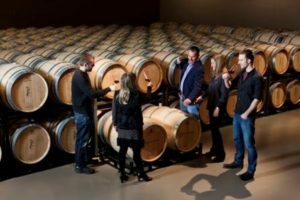 You will firstly visit a small, family-run winery for a completely different to the large estate which you visited yesterday. Here, you will receive a warm welcome from the owner himself and you will have the opportunity to see first-hand the fascinating wine-making process from press to bottle. Your tour will conclude with an extensive tasting session. A three course lunch will then be served in an authentic Spanish restaurant. Please note that drinks have not been included as part of the lunch package and can be ordered and paid for directly at the restaurant. After lunch, you will be taken back to the airport in time for your return flight. 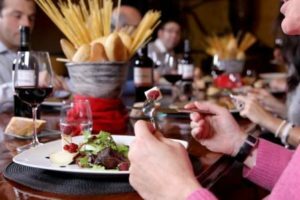 The guide price of £599 (GBP per person is based on 15 people and includes return flights to Bilbao, 1 night’s accommodation with breakfast in single occupancy rooms at the 4* Hotel Viura, tours and tastings at 2 wineries, a tasting session with tapas, 2 lunches and free time in Logroño in the evening. Give us a call on +44 (0) 1920 46 86 66 or e-mail info@grapeescapes.net to start planning your employee incentive wine tasting trip with our team of experts.